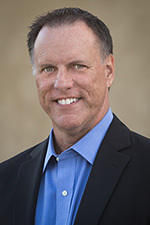 DirectAccess End of Life (EOL) | Richard M. Hicks Consulting, Inc.
As I outlined in a recent blog post, there has been much speculation surrounding the end of life (EOL) for Microsoft DirectAccess. This is not surprising, as Microsoft has not made any investments in DirectAccess since the introduction of Windows Server 2012. Recently, Microsoft began promoting its Always On VPN solution as an alternative for DirectAccess. 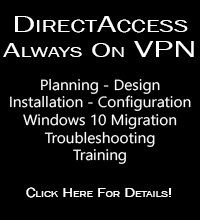 While DirectAccess has not been formally deprecated, Microsoft is actively encouraging organizations considering DirectAccess to deploy Always On VPN instead, as indicated here. 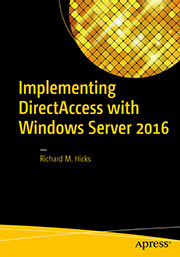 It’s important to state that, at the time of this writing (April 8, 2019), DirectAccess is still fully supported in Windows 10 and will be for the lifetime of Windows Server 2019. However, the future for DirectAccess is definitely limited, and customers should start considering alternative remote access solutions. But Always On VPN has some serious limitations too. For example, Always On VPN works only with Windows 10. Windows 7 is not supported at all. Managing and supporting Always On VPN has its own challenges. It cannot be managed using Active Directory and group policy in the traditional way. You must use Microsoft Intune, System Center Configuration Manager (SCCM), or PowerShell to configure and manage VPN clients. NetMotion Mobility is a truly comprehensive remote access solution and an excellent alternative to DirectAccess. To learn more about NetMotion Mobility and to see it in action, fill out the form below and I’ll get in touch with you.